One of the big highlights in iOS 8 – Apple’s shiny new interactive notification system – seems to have piqued the interest of quite a few large developers to make use of the new feature set. The latest joining the foray is Microsoft with its Skype offering. The Skype for iPhone app just received a major update making it iOS 8 compatible in general, and particularly making use of the new interactive notifications that Apple’s latest and greatest has on offer. 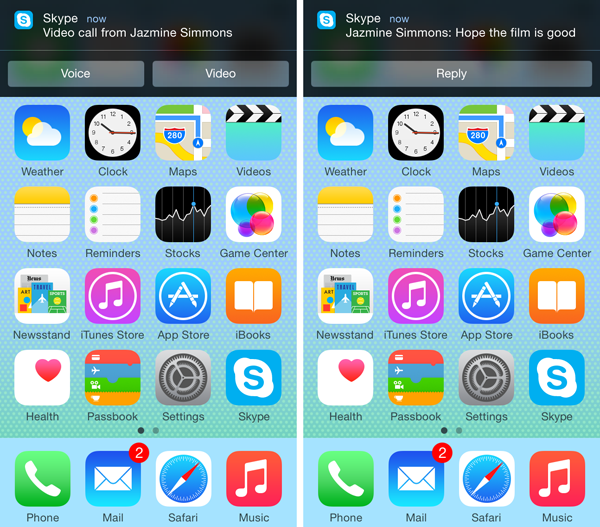 The new version of Skype makes it possible – assuming you’re running iOS 8, of course – to respond to several Skype notifications directly from the banner and/or Notification Center, including responding to text messages, answering/rejecting voice and video calls etc. The new system, for instance, allows you to answer an incoming video either with video or without by sliding the notification to the left. 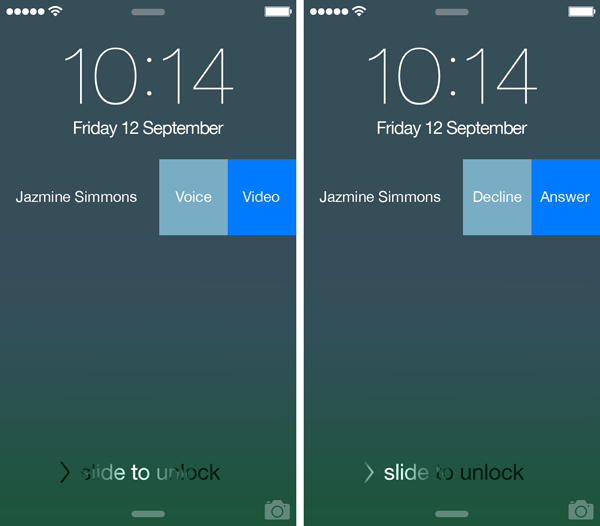 Likewise, if you’re already at the lock screen, you can opt for voice only and skip video by default. Then, if you’re using your phone while the call comes in, you can simply answer it by sliding down on the notification banner. Finally, in the Notification Center, missed calls can be responded to (either call back or text reply) in a similar fashion. With messages, the setup works similar to Apple’s native messaging app with one key difference – you still need to input your passcode before you can respond to a Skype text. Doing so will unlock the device and take you directly to the message, but if you don’t have a passcode applied, you can respond to the message right from within the notification with ease. The update to the Skype app for iOS is a pretty clear sign that Microsoft is hard on keeping the platform not only alive, but growing further as well. Until recently, while Skype worked absolutely fine on Android and Microsoft’s own Windows Phone, it was somewhat of a pain to use on an iPhone. With this update, I can view Skype as a proper call and text replacement app and not just another messenger on my iPhone. Let’s see what future updates hold for us. 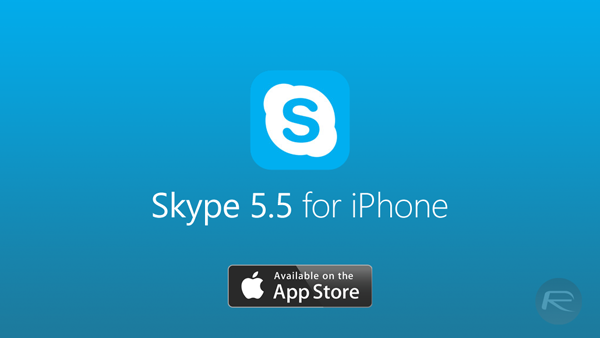 You can download Skype for iPhone for free from the link we’ve embedded below. What you’re saying about the notifications for messages is totally wrong. Please at least verify yourself before making wrong statement. It is IMPOSSIBLE for third-party app to add text input in their interactive notifications. In other words, it is IMPOSSIBLE “to the message right from within the notification with ease” as you have written. This is a very stupid decision from Apple and I guess (and hope for them) they are going to make this possible for iOS 9.